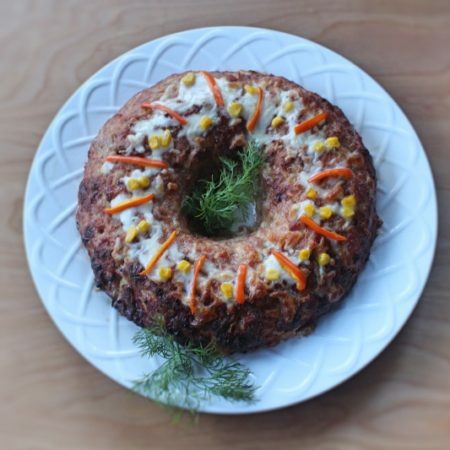 This holiday pork donut is a perfect meal to add for your menu. It has greatly seasoned fantastic tasting pork but not going over the top. I would recommend it to anyone who’s a meat eater. 1.) In a large bowl break apart your bread and add milk. Using your hands combine it together until the milk gets absorbed. In a separate bowl add grounded pork, eggs, seasoning and shredded onion. Combine your bread mixture and your Meat mixture. Place parchment paper on a cookie sheet. 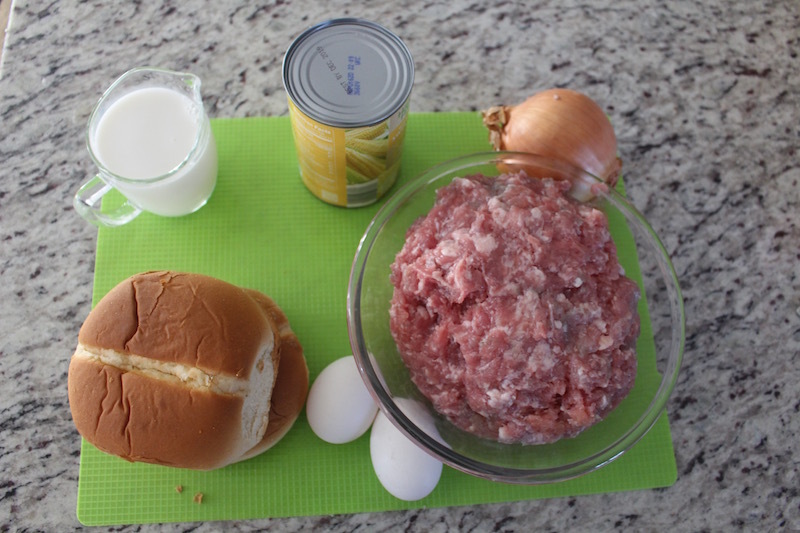 Place a glass in the middle and and form a donut with your meat mixture around it. Take your glass out and cook for 30 minutes 400ºF. 5 Minutes before its done cooking add cheese on top. Take it out of the oven and let it dry, Slice your peppers and put some on top. Place on serving dish cut and enjoy. 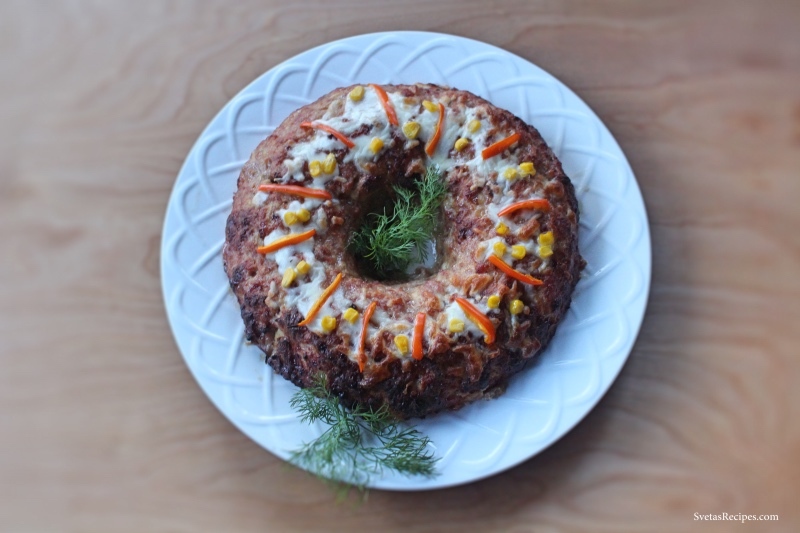 This holiday pork donut is a perfect meal to add for your menu. It has greatly seasoned fantastic tasting pork but not going over the top. I would recommend it to anyone who's a meat eater. In a large bowl break apart your bread and add milk. Using your hands combine it together until the milk gets absorbed. In a separate bowl add grounded pork, eggs, seasoning and shredded onion. Combine your bread mixture and your Meat mixture. Place parchment paper on a cookie sheet. 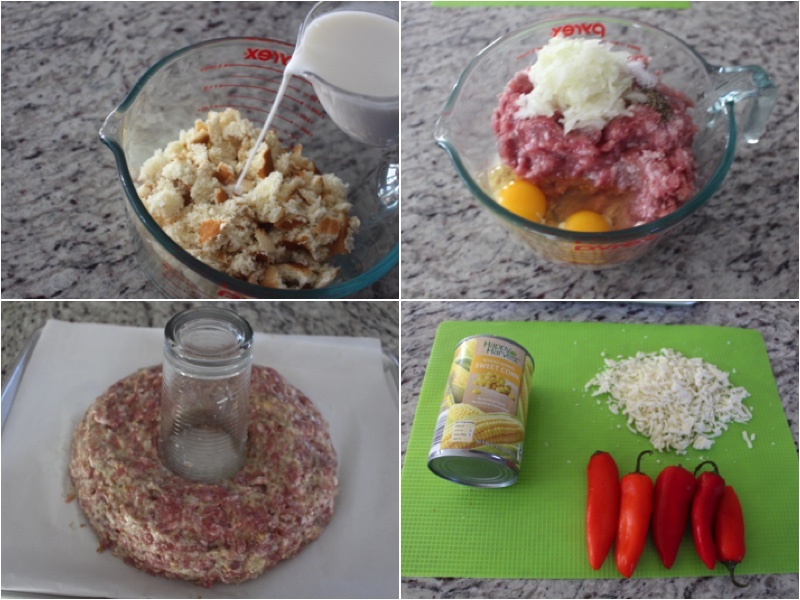 Place a glass in the middle and and form a donut with your meat mixture around it. Take your glass out and cook for 30 minutes 400ºF. 5 Minutes before its done cooking add cheese on top. Take it out of the oven and let it dry, Slice your peppers and put some on top. Place on serving dish cut and enjoy.